Islamabad is one of the world’s most beautiful capitals where green areas, Margala Hills, Murree Hills, Rawal Lake and the weather play an important role in maintaining its beautiful environment. Every city of Pakistan has its importance and charm, but Islamabad is the first properly planned city of Pakistan for the reason it is the capital city of Pakistan. Everyone wishes to reside in a peaceful environment where all the basic facilities like health, education and other living and business facilities are readily available. Islamabad is one such city which has all these characteristics and much more. It is among the most well-organized and well developed cities of Pakistan where all the modern, urban facilities are easily accessible. 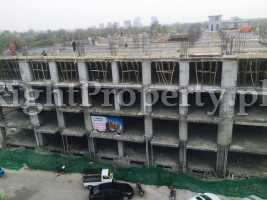 This is the reason that the population of Islamabad has increased immensely during the last few years and many residential and commercial projects have been launched in these years to meet the needs of this growing population. 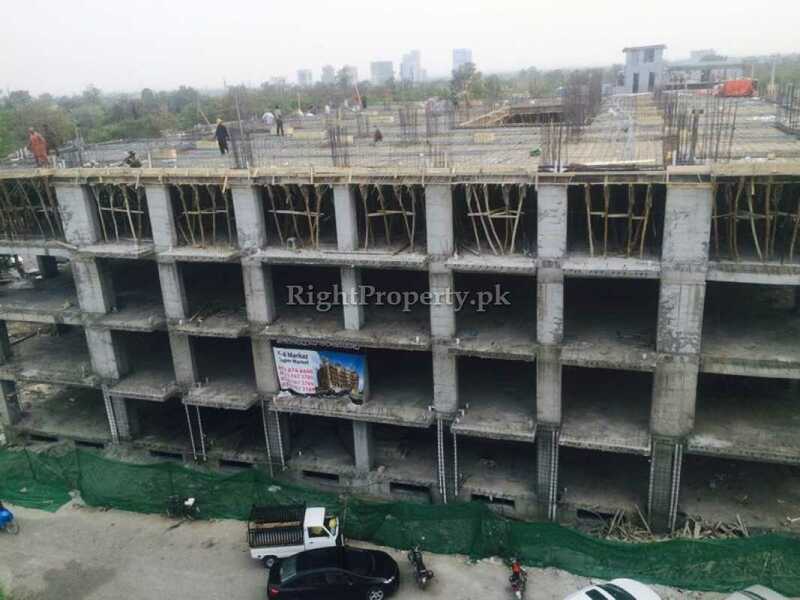 These new projects are scattered all over the sectors and different housing societies of Islamabad. 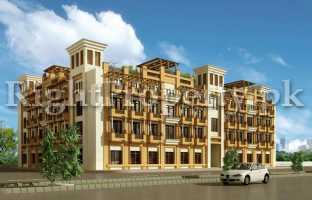 One of the new projects among different others is “Shehrazad Islamabad” which is being made in the heart of the city F- 6 Markaz. 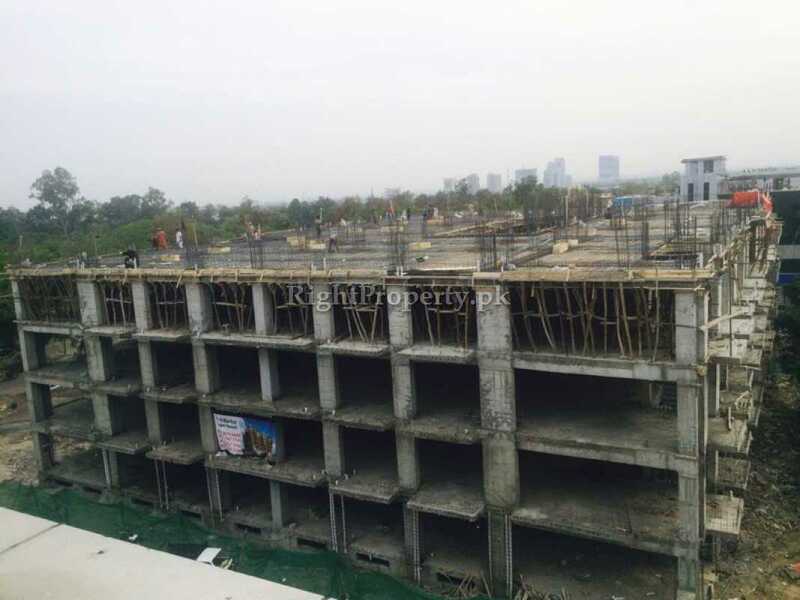 Sector F- 6 is developed by CDA in the most prime location of Islamabad. It is right next to Margalla Hills amidst scores of lush green trees. This luxuriant greenery not only imparts beauty to this sector but also make Shehrazad Islamabad a unique project. 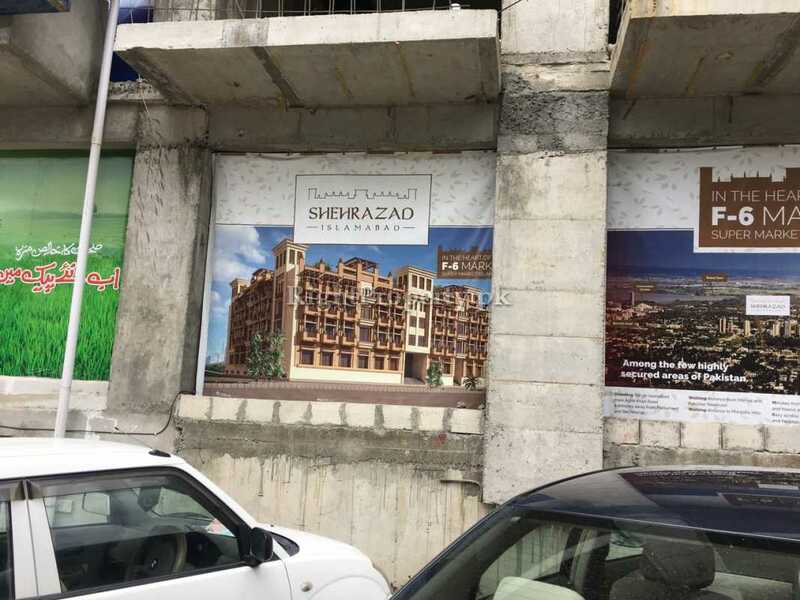 Shehrazad Islamabad is a modern corporate project that can not only fulfill all the modern day requirements but also provides an excellent opportunity for investment where the invested capital is guaranteed to give profit in the future. 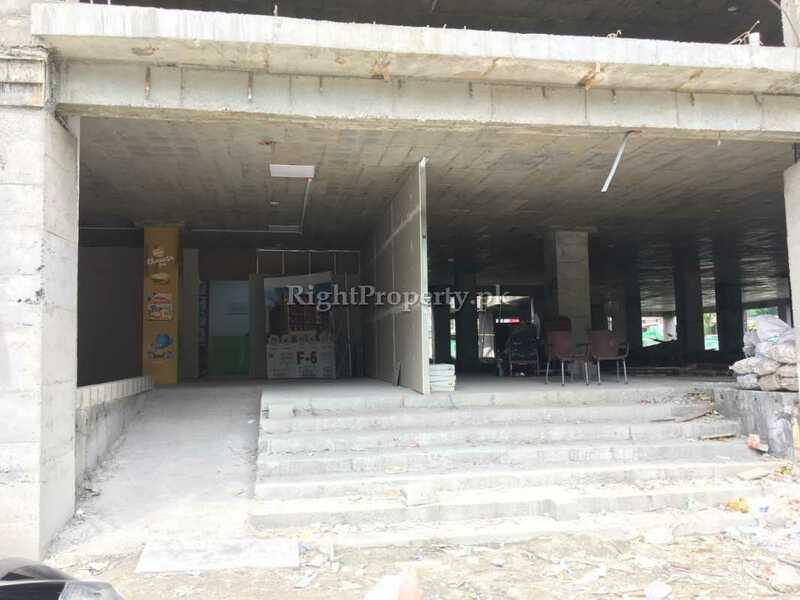 Shehrazad Islamabad is a commercial project which consists of multiple storey building with spaces available for retail shops for national and international brands, corporate offices, kids play zone, fast food courts, coffee shops, clinics, gymnasium, hotels and restaurants etc. 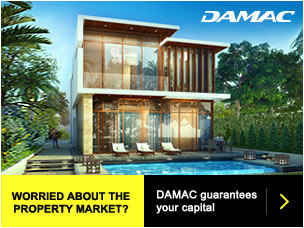 This project grants all the amenities necessary for a successful business under one roof. 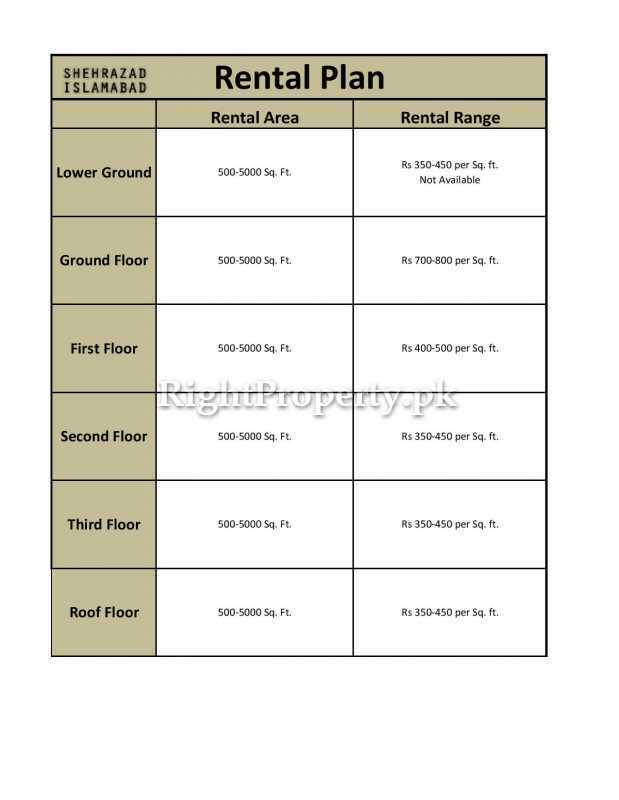 NSQ Developers have launched their new project Shehrazad Islamabad in the heart of the city. 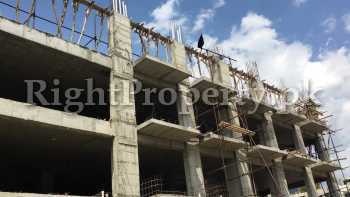 It is located on Agha Khan Road, Block- 7 of F- 6 Markaz, Islamabad. Shehrazad Islamabad is an ideal project due to its location and surroundings. 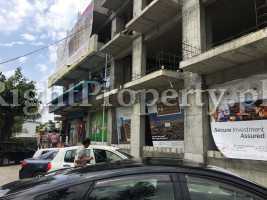 F- 6 Markaz is the dream of many to have a business here. The surroundings of Shehrazad Islamabad have banks, hospitals, educational institutes, shopping malls and commercial areas. Public transport is available throughout the day and night in this area. Shehrazad Islamabad is at a 7 minutes drive from Parliament House and Diplomatic Enclave, and also near Marriot Hotel, Islamabad. The world famous Faisal Mosque is just at a 10 minutes drive from Shehrazad Islamabad. Blue Area is at walking distance from here which is the most sought area of Islamabad. 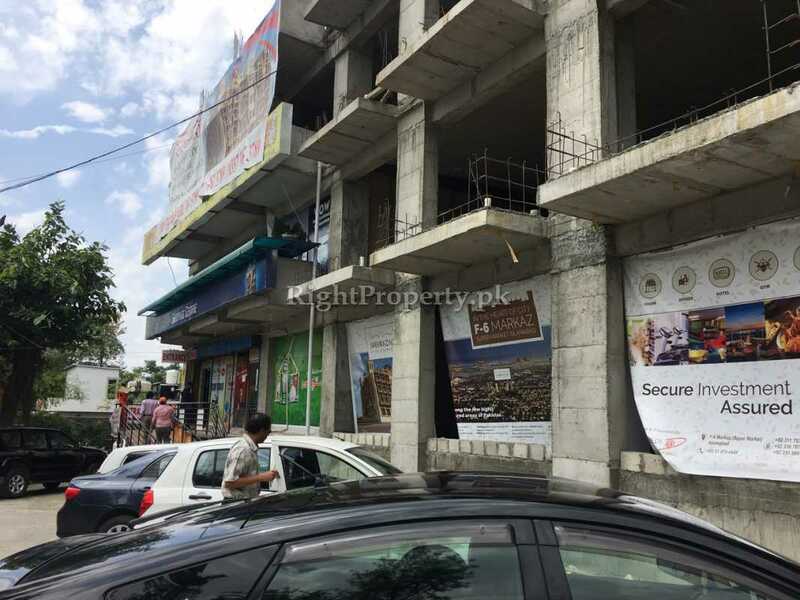 A number of well off families reside around this area and come to F- 6 Markaz and Blue Area for shopping. Not only for locals but also for people visiting from other cities this is the first choice for a shopping destination in Islamabad. Shehrazad Islamabad is present at the most prime location in Islamabad which is also among the most secure areas in Pakistan, with fool proof security arrangements. Shehrazad Islamabad is not only close to other sectors of Islamabad but also many areas of Rawalpindi and the New Islamabad Airport is easily accessible from here. 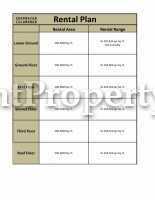 CDA Sectors F- 7, F- 8, F- 10, F- 11, E- 8, E- 9 and E 11 are among the sectors that are in the neighborhood of this project. Jinnah Super Market and Aabpara Market are also very close to Shehrazad Islamabad. 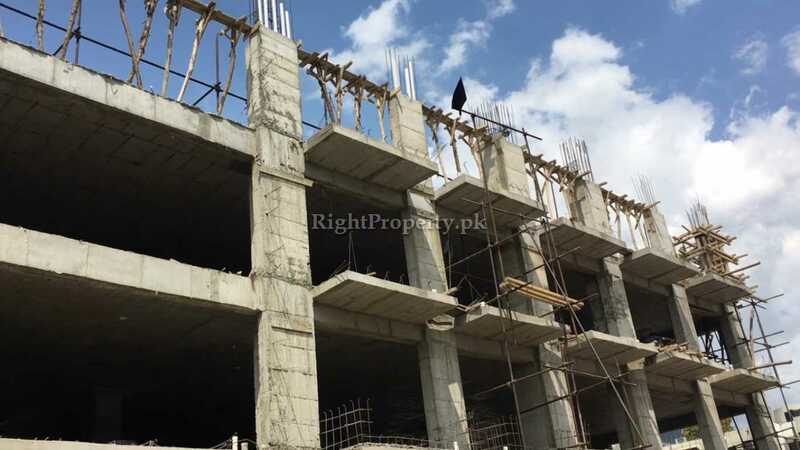 Moreover, the 7th and 9th Avenue roads, Islamabad Express Way and Kashmir Highway are also connected to Shehrazad Islamabad which provide easy access to this project and are among key factors for making Shehrazad Islamabad a successful project. 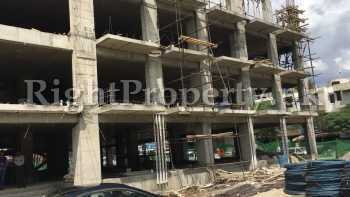 Shehrazad Islamabad is a 5 storey project with open roof top available for commercial purposes as well. NSQ Developers are resolute to make Shehrazad Islamabad a world class project. 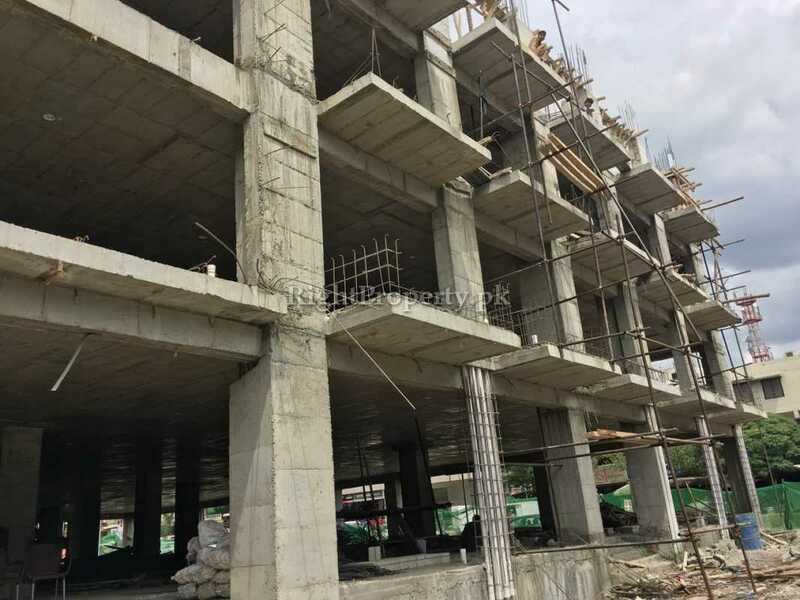 each floor of this project has been divided into different zones for different commercial purposes that might include retail shops for different brands, corporate offices, kids play zones, fast food courts, gymnasium, clinic, restaurants and hotels. 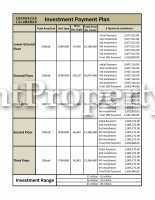 The property rates are very high in almost all the sectors of Islamabad. This is the reason, there is hardly any residential or commercial plot left vacant in the well developed sectors of Islamabad. The CEO of the project Shehrazad Islamabad has to say that there is no other project in this area like Shehrazad Islamabad. 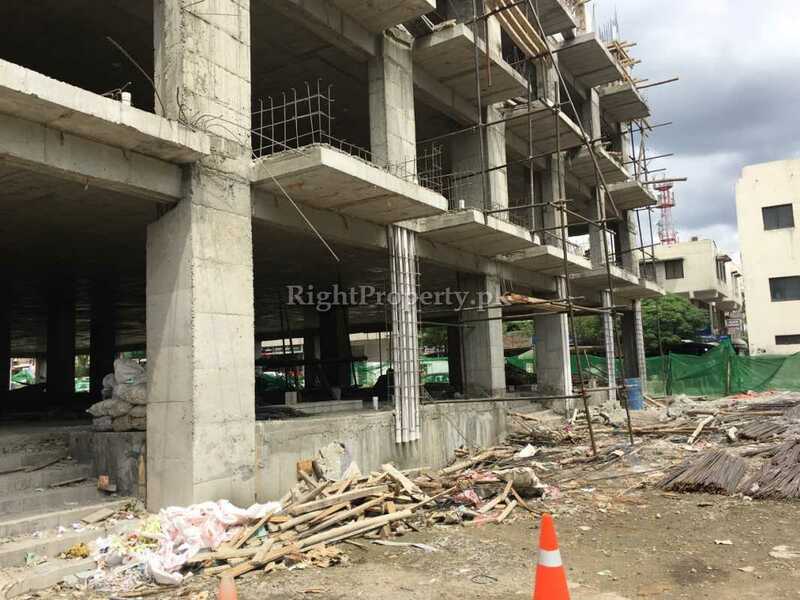 The construction work is swiftly in progress as compared to other buildings around it. The developers are trying their level best to complete it and handover the possession to their clients by July or August 2018. 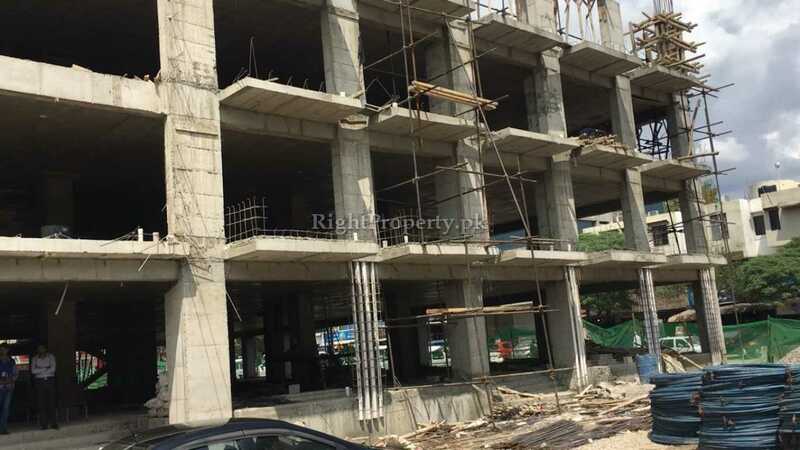 There are numerous interested customers who come over daily to have a look at Shehrazad Islamabad and the site office to start a business or for investment purposes. Most of them are of the opinion that investing in this project is their dream and they don’t want to miss this opportunity at any cost. 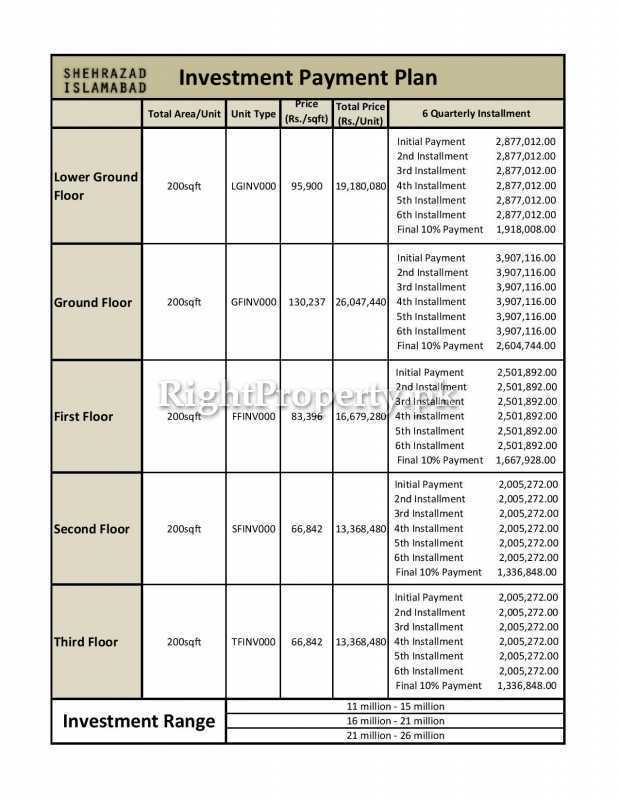 The survey conducted by the Right Property team indicates that Shehrazad Islamabad is an attractive project mainly because of the desirable location and the lofty surroundings it has. The exclusive building design and structure has further made it a must have for many people, brands and businesses to aspire for it. F- 6 Markaz is in the heart of Islamabad and one of the busiest areas in the city which guarantees successful business here.